Practice your multiplication tables by creating grid paper designs from Sharynideas! Kids identify patterns in their multiplication tables. When they identify a repeating pattern, they create art! Check out the activity here! 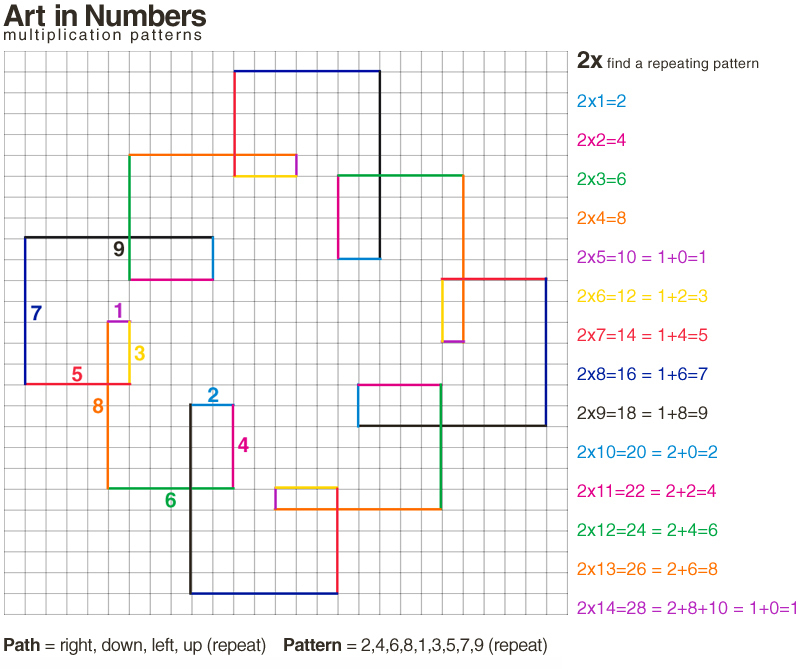 Also, visit NRich Math for a slightly different way to create designs from your times tables!